The end really is upon us, isn't it? With just mere weeks to go until the arrival of Avengers: Endgame, we're pulling our hair out with impatience and wild anticipation. Now, we've got a few full trailers. We've cried our eyes out. We've pulled out our magnifying glasses. We've crafted some theories. Everything! But of course, we always have and always will return to the same question: who is going to die? I mean, it's got to be an inevitability at this point, right? You can't take on one of the most malicious villains in the entire universe and expect everything to be peachy keen. Even if you discount the people who were "dusted" in Infinity War (something that will surely be undone), there were still some pretty gnarly deaths including Loki, Gamora, and Heimdall. We're only expecting the casualty count to rise as the Avengers attempt to take on Thanos again. And when it comes to a permanent goodbye, there's one character who's really seeming like the odd man out: Iron Man aka Tony Stark. As you all know, Iron Man does not die in Infinity War, but Thanos basically leaves him gravely wounded and stranded in space. He may have survived the snap, but he's still mortal, folks. Even the first trailer Marvel shared sets up a rather bleak scene in which he says goodbye to his love, Pepper Potts. In a more recent "special look," Tony seems to have made it back to earth safely, but later appears to be facing off with Thanos all by himself surrounded by charred wreckage. Logistically, it does make sense for Iron Man to go. The end of Endgame may very well launch Marvel in an entirely new phase with new heroes. 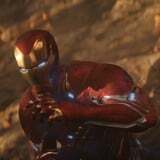 Iron Man 4 has not been confirmed, and Robert Downey Jr. has spoken in the past (albeit a while ago) about turning in his helmet for good. So, maybe this is it. As the leader of the Avengers, his loss would be one of the most devastating. On top of just plain logistical speculating, there's an entirely different elephant in the room to consider, one that seems to have everything and nothing to do with Avengers: Endgame: we're talking about Spider-Man: Far From Home, which hits theaters this Summer. The release of the trailer has certainly had us all scratching our heads. Peter Parker, who gets dusted in Infinity War, is alive and well and surprisingly well-adjusted. It's murky territory; we don't know if the film takes place before or after the events of Infinity War, but there's one glaring issue that's evident, regardless of timing: Stark isn't around as Spidey's mentor. This brings us right back to the question at hand: is Stark dead in Far From Home? Is this basically a confirmation that he really doesn't survive the final conflict with Thanos? The evidence is piling higher and higher, and we're just crossing our fingers and hoping for the best. But friends, it's not looking good.